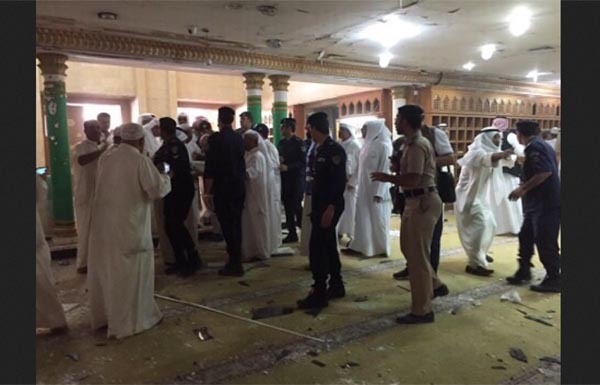 Kuwait City: At least two Indians were among the 27 people killed in the bombing at a Shia mosque in Kuwait City, the Indian embassy said. Rizwan Hussain, 31, of Sultanpur and Ibne Abbas, 25, of Ambedkar Nagar were both from Uttar Pradesh, an embassy statement said. A suicide bomber hit the mosque on Friday during noon prayers, killing 26 devotees and injuring 227 in an attack claimed by the Islamic State. The attacker also died. The embassy has advised the Indian community in Kuwait to take precautions for its safety and security in the wake of the blast. Over 800,000 Indians live in Kuwait, forming the second biggest expatriate community after Egyptians. Most Indians are employed in the private sectors and are workers, technicians, engineers, doctors, chartered accountants and IT experts.